Bathroom frolics – Let Us Live Like We Mean It! Not THAT kind of bathroom frolics! 😛 No, this is the kind where I try on yet more SCA garb and take selfies, and then take photos of the bathroom in general. You see the kind of excitement I get up to on a Thursday night! 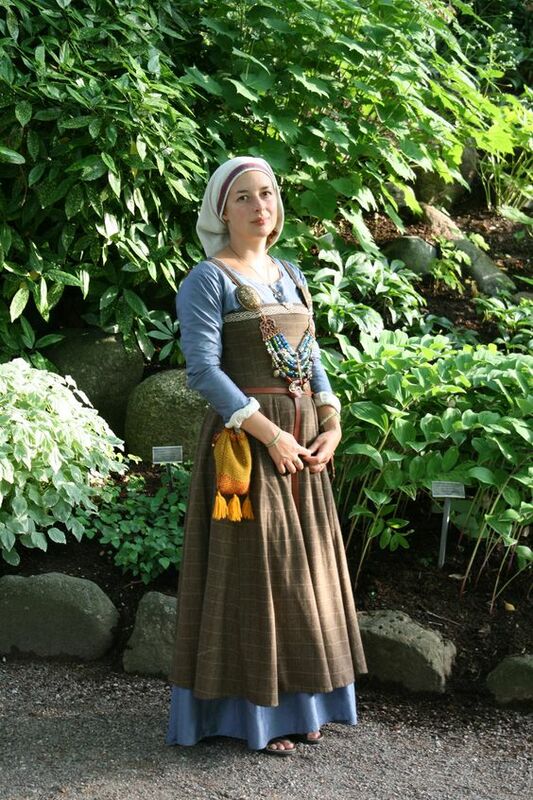 A Viking-reenactor woman in the SCA, who I respect a lot for the depth of her research and willingness to share it, posted a photo of herself on Facebook that showed her in typical Viking-woman apron dress with turtle-brooches, beads strung between them, and a veil. 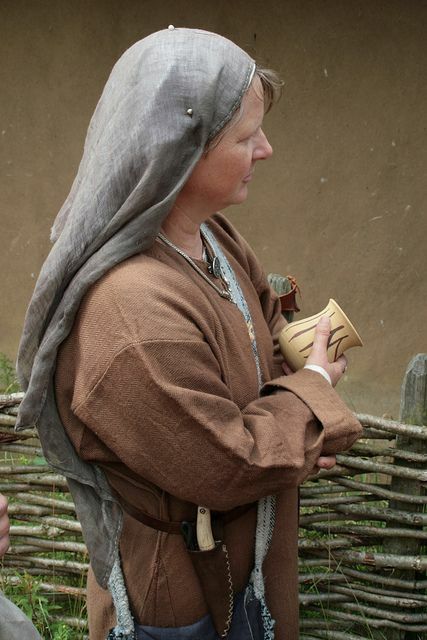 Now, there are different schools of thought about Viking women and veils. 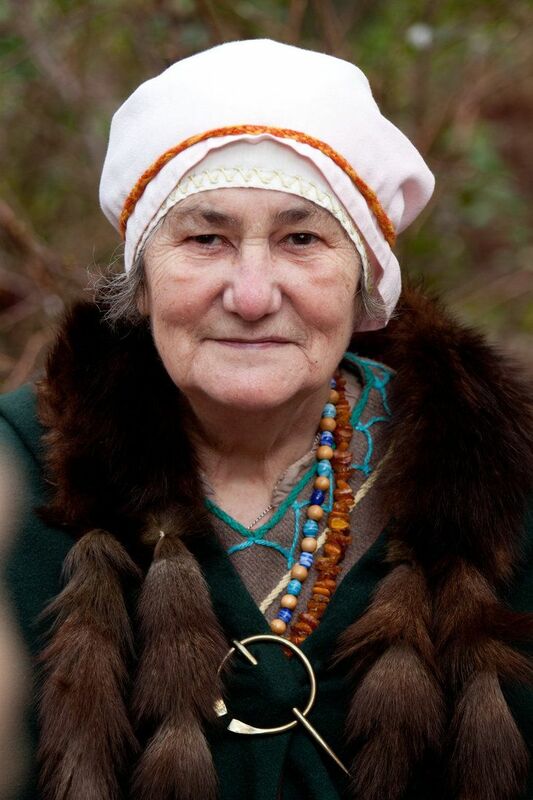 Headdress for women is interesting, isn’t it? At the same time as hiding a woman’s hair from a man’s view (as modesty demanded), it also emphasised that she had hair. Usually a lot of hair. Thursday night excitement? Verrrrry interesting, Timi. Glad you are feeling better. Thank you, Janet! 🙂 I just got three more linen scarves/headwraps–one natural, one deep red, and one royal blue! An interesting post, with some great photos, Timi. 😃 Your ‘bathroom frolics’ were very entertaining and what can I say about a bathroom with its very own dragon and a ‘Three K Gallery’…except that it’s really lovely and colourful and a great place for you to unwind by having a nice long soak. The different head coverings are all intriguing and I suppose it stands to reason that different regions would favour different styles.